As competition for students increases, institutions that develop targeted enrollment strategies that take into account the unique worldview and preoccupations of Generation Z learners will be well positioned for future growth. 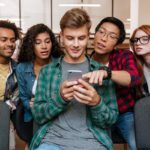 While popular culture may focus heavily on Millennials as the rising tide of the workforce, “Generation Z”–also known as the Smartphone Generation–is coming quickly on their heels. With an innate knowledge of technology and a heavy focus on workforce preparedness, Gen Z learners have different expectations of higher education than generations past. In this interview, Shane Garrison discusses the fundamental differences between Generation Z and older cohorts, and shares his insights on how those differences are impacting enrollment strategies at postsecondary institutions across the country. The EvoLLLution (Evo): What are some of the most significant differences in the customer experience expectations of a Gen Z learner compared to those of Millennials and older generations? Shane Garrison (SG): Generation Z expects a higher level of customer service than its predecessors: timelines are faster, wait times are shorter and expectations are instantaneous. There’s an increasing intolerance towards lag times: Institutions have always had some lag time between an application, a financial aid package and registration information, but now a one month lag time—really, a one week lag time—is unacceptable. We’re recognizing that we have to be significantly faster than we have been in the past. We’re also noticing a change in personal responsibility. In generations past, students assumed some level of responsibility for their application process—for submitting documents, essays and financial information. We’re finding that responsibility for those sorts of things is shifting onto the university. We are now responsible for acquiring their transcripts and test scores; we are responsible for making sure that they know what’s remaining in their FAFSA. With this shift in personal responsibility, particularly in schools that are enrollment-driven rather than funded by state dollars or legislatures, enrollment teams have to be proactive if we want to maintain competitive enrollment numbers. Evo: How do the expectations of Gen Z students differ from older generations when it comes to what they look for in program selection and academic outcomes? How does their expectation of the “academic product” differ from older cohorts? SG: We are seeing the “academic” product evolve into a “work-ready” product. 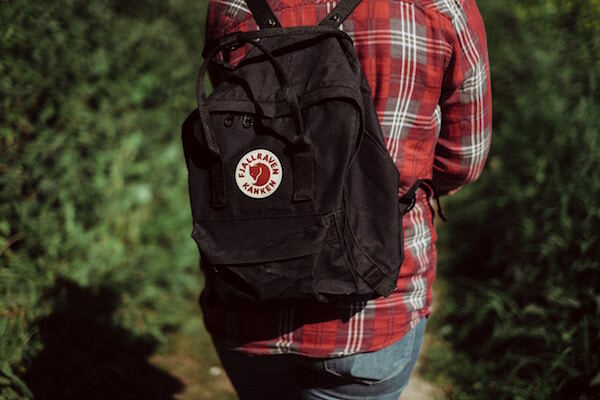 Whereas previous generations might have looked at their college years as a way to find themselves or have a bit of fun, the realities of the economy and the job market are weighing much more heavily on Gen Z from the earliest onsets of the student experience. This is very prevalent in the state of Kentucky, but I don’t think it’s different elsewhere. With the national conversation increasingly focused on job preparedness, there is an expectation that a bachelor’s degree will deliver immediate occupational attainment. Gen Z students are focused less on the college experience, and more on whether that experience can get them the job that earns an income beyond an entry-level salary the minute they graduate. Evo: You mentioned that schools are expected to take on more of the service-level aspects of enrollment, such as managing FAFSA and student transcripts, for Gen Z students. 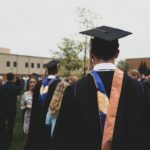 How much of that is driven by the heightened expectations of this new generation, and how much of that is driven by the more competitive higher ed landscape, where there’s pressure for institutions to identify different competitive advantages that can make them stand out to prospective students? 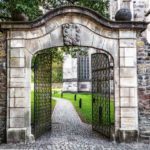 SG: As the competitive landscape in higher education amplifies, institutions need to show prospective students that they’re going to be the most aggressive, the most savvy, and the most expedited option on the table. We are a customer service provider and we have to be aggressive in order to meet our budget revenue needs. Our competition is no longer just the school down the road—it is every community college, every public institution, every online university, every for-profit institution. There is no relaxing or expecting that enrollment is going to come to you because you are an educational provider. Every institution is facing the same need to become market-driven and customer-specific to build enrollment. We can’t just wait for students to walk through the door. Evo: From an enrollment management perspective, what are going to be some of the most significant challenges in serving the Gen Z demographic? SG: The first challenge is the changing role of the parents. Particularly with middle- to upper-class student populations, we’re finding that the parents of Gen Z students are functioning very much like athletic agents. They’re making the deals in the same way that a football player’s agent negotiates a contract. The parent is functioning as their child’s agent, almost to the complete absence of the student. We’re seeing this more and more often. When a student is on a campus tour or sitting in the financial aid office, they’re lacking interest in the whole process—but boy, the parent is present. Parents have always been involved in the process, even with Millennial students, but it has hit a new level. It feels as though the student is on the journey, but they’re in the caboose while the parent is driving the train. This shift has implications for enrollment services. Up until now, the vast majority of our communications have gone directly to the students, because they’re the ones we’re recruiting. But we’ve identified that we have to duplicate every level of communication to the parent or guardian, because that’s where the real decision-making is happening. The second challenge pertains to GPA inflation. As many high schools move away from the ACT and SAT as metrics for student achievement, they’re relying more and more heavily on GPA—but what we’re noticing is that GPA is not standard across all schools. Some high schools are weaker academically, and they inflate their students’ GPAs. This means those students receive the same basic scholarship package as an academically elite high school student who may have a lower GPA but a higher level of academic achievement. There’s the possibility that a 3.1 GPA student at a high-intensity high school is going to receive a lower scholarship offer than a 3.9 GPA student from a weaker school. As we drift away from standard SAT/ACT metrics—and many places are becoming test optional or even removing the tests entirely—we’re noticing these discrepancies between GPAs at different high schools. Unfortunately, there’s no metric to determine how a high school’s subjectivity plays into that. Finally, students are becoming increasingly focused on outcomes. The conversation is about job attainment, career outcomes and immediate placement in the labor market, rather than the pursuit of education, knowledge and progressive ideas. I don’t know if that’s an outcome of the political conversation or if it’s just a regional discussion here in the southern US. Students are asking about work readiness: How am I going to get paid for the investment I’m making in education? 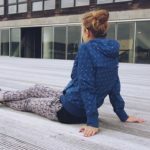 How am I going to become debt free within 12 months? How am I going to quickly reach that next step in my career? Evo: What are some of the key changes that colleges and universities need to make to ensure they’re prepared to serve this incoming generation of Gen Z students? SG: First, I think we have to first realize that there is a general aversion to student loan debt. Parents of Gen Z students are increasingly Gen Xers and early Millennials, many of whom are still paying off their own student loans. They’re highly averse to the thought of saddling their children with student loans while they are still in student loan debt themselves. For years, financial aid counselors have been trained to describe educational debt as good debt, and consumer debt as bad debt. Educational debt is an investment in your career—it’s going pay back over time, it’s a necessary investment—but you say the word “debt” around Gen X or early Millennial parents and they bristle. They may still be paying off $30,000 to $50,000 of student loan debt, and the thought of putting their child into that same space is unbearable. So, they will make significant financial choices to pursue other options, maybe even away from the four-year school or private institution, or away from the idea of any debt at all. We’ve had parents pull their kids out because they were going to have to take on $2,000 in student loans. They were that close and they said, “No. We’ll figure something else out.” Debt aversion is on the minds of many of these families. Second, we need to think about expanding the enrollment funnel. Schools like ours are enrollment driven, and while we hope to start a good number of students every fall and spring, we’re going to have to widen our net exponentially in order to see that same consistent percentile growth. Five years ago, if you needed to enroll 500 students, you needed 2,000 applications. You would convert about one out of four. Now, to get 500 students to enroll, you need around 6,000 applications. The enrollment funnel has become enormous at the top end. Think about scalability: A public institution that aims to enroll 3,000 freshman students may need 25,000 applications. As the scale continues to be managed, I think the top of the funnel must be widened substantially. Evo: Is there anything that you’d like to add about some of the changes that will impact enrollment management and marketing as institutions start to serve Generation Z? SG: As far as marketing goes, we need to start thinking about marketing specifically to the parent, alongside our student-focused campaigns. We might have two completely different marketing campaigns, or two completely different marketing focuses, because we’ll need to shift to a dualistic approach. That will serve schools, particularly in the smaller liberal arts sector, quite well in the days ahead. Unlike previous generations, decisions about higher education are more likely to be made by the parents of Gen Z students, rather than the students themselves—meaning that institutions must broaden their marketing and recruitment activities to include parents, not just prospective students. While older generations saw their undergraduate years as part of a personal journey, Gen Z students are more defined in desired outcomes, and see their postsecondary experience as critical to career readiness. As a generation that has grown up with Amazon and other on-demand services, Gen Z students have very high customer service expectations of their postsecondary institutions, and those interactions have a significant impact on their experience.